Debris boxes available for construction, landscaping and general clean up. 8 yard – 40 yard boxes available. We provide recycling on all debris boxes. American Portables is a family owned and operated company based in the Bay Area. We service the entire Bay Area as far North as San Francisco and as far South as San Jose. Our goal is to establish long lasting relationships with our customers and provide quick and quality service. Our office staff and drivers work hard to provide the best service in the industry. American Portables provides restrooms for Construction Sites, Special Events, Sporting Events, and Farm Fields. Our units come in a variety of colors; gray, green, blue, and gray/green. We have standard portable restrooms, deluxe restrooms with sinks inside the unit, ADA handicap restrooms, trailer mounted restrooms, and electrical restrooms. We also have freestanding hand wash stations with two stations per unit and a four station hand sanitizer unit. 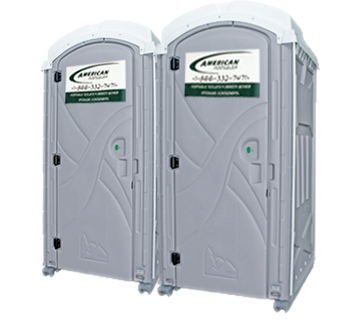 Call our office TODAY to schedule your portable restroom unit. American Portables also provides portable fencing panels for all your temporary fencing needs. Our 12 foot panels are perfect for construction sites or any temporary fencing needs. Our panels are 6 feet high by 12 feet in length. Privacy screening is also available with all fencing. Call TODAY to schedule your temporary fencing. American Portables provides septic pumping for houses. Our pricing varies based on tank size, accessibility, and location. 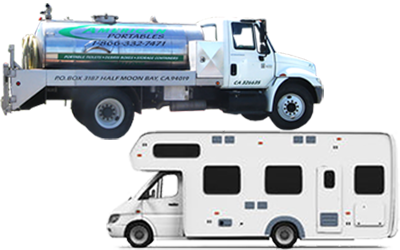 Additionally, American Portables has the ability to pump out RV’s with special connections to our trucks. Call TODAY to schedule your septic or RV pump out. Additionally, American Portables provides debris boxes ranging from 8 yards to 50 yards in sizes. Our debris boxes are great for dirt/concrete, garbage, and green waste removal. For information on availability and service areas, call our office TODAY to schedule a debris box. Our staff can help you with selecting the perfect unit type and quantity tailored to your needs. We would be happy to assist you with any final questions you may have for both portable toilets and debris boxes, making the most ease free ordering. Allow us to make the sheduling process as simple as possible. You may contact our office by phone or complete scheduling form and we will respond by end of day.